Thank you for volunteering with IDignity Seminole as we strive to restore dignity and hope by providing identification! You will receive an automated email confirmation upon registration and a reminder email will be sent the week of the event with additional details including parking information. For information about what happens at an event, click here. For a detailed list of volunteer positions/duties in order to specify a volunteer assignment in the Comments field of your registration, please click here. New volunteers are strongly encouraged to attend the orientation and station training conducted in the morning. Due to updated training at each event, volunteers for the Intake and Legal stations must attend the morning training. 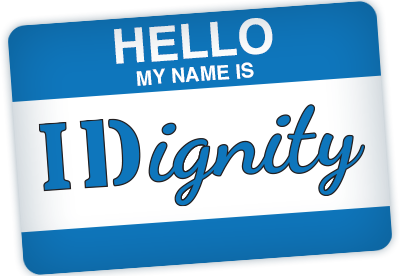 If you have any questions about volunteering, please contact us at idignityseminole@idignity.org or call (407) 869-0491. I am interested in other volunteer opportunities in addition to the monthly Client Services Events. Please contact me to discuss. A list of volunteer positions with descriptions can be found above. Please share any other information that would be helpful to your volunteer placement or availability. Volunteer Registration – seated position. Two volunteers staff the Volunteer Registration area at all times. Volunteer Hospitality – seated/standing position. Serve food and drinks to volunteers. Client Hospitality – standing, inside/outside position. Serve food at canteen in the morning outside and lunch inside. Queue – standing/sitting position, outside. First interaction with clients. Gold Star Runner – standing/walking position. Interaction with clients and Flow bus workers. Intake – seated position with high level of interaction with clients. Substantial amount of reading and writing. Legal – seated position with high level of interaction with clients. Substantial amount of reading and writing. Social Security – seated position with high level of interaction with clients. Substantial amount of reading and writing. Florida Birth Certificates – standing position. Out-of- State Birth Certificates – seated and some standing positions. Requires high level of detail and interaction with clients. Shepherd – standing position among group who direct clients to each station. Transportation – serve as a rider on trips to Social Security Administration and other locations. Assist clients upon arrival with checking in at service desk.